For a mid century look this armchair is just right. It will work well both in an urban flat or in a large house. The leather cushions will just look better the more they are used. 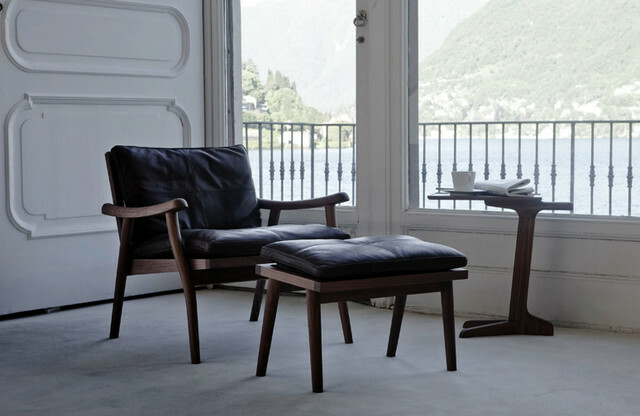 Armchair in solid walnut available with or without back cushion. Something like this in the corner of the lounge may work.